Home BUSINESS AITEO Founder, Benedict Peters, awarded FIN African Icon of the year, 2018. 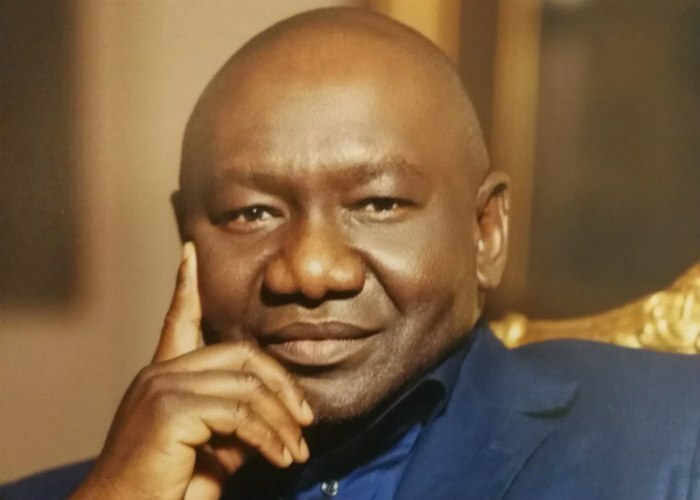 AITEO Founder, Benedict Peters, awarded FIN African Icon of the year, 2018.
International business leader and founder of Aiteo Group, Benedict Peters was awarded African Icon of the Year at the Foreign Investment Network (FIN)and Federal Ministry of Petroleum Resources Honorary Patrons Dinner and Awards Nightwhich held at the Nigeria International Petroleum Summit, in Abuja. The award is an acknowledgement of Peters’ significant contribution to oil and gas development in Africa, his visionary leadership, distinguished service and transformational disruptionof a sector dominatedby International Oil Companies. The Aiteo Group’s 20 year evolution through Africa’s Oil and Gas sector has been exemplary as well as revolutionary–going from a downstream start-up to becoming a leading integrated energy conglomerate with strategic investments in hydrocarbon (or commodities) exploration and production. Beyond oil, Mr Peter’s grouphas investments in mining, agriculture, infrastructure development, electricity generation and distribution, with a fast-developing retail distribution network. It is focused on serving the needs of communities across the continent, byleveraging a unique combination of a strategic asset base, technology, innovation, and someof the best technical and business minds across the industries itserves.The group has been expanding rapidly, extending its transformationaloperations to different countries across Africa and Europe. Peters is passionate about youth empowerment and has donated generously to support football on the African continent. Through Aiteo, he sponsors the Nigerian Football Federation, Aiteo CAF Awards, Aiteo Cup (The Federation’s foremost Cup in Nigeria) and a team in his company’s host community. He has also assisted thousands of internally displaced persons in northern Nigeria while also supporting clean water sanitation initiatives in Africa in partnership with Face Africa, improving the lives of over 25,000 people in rural Liberia and more. Peters has a keen interest in social and environmental issues in the agricultural sector. He chairs the Joseph Agro Foundation, which seeks to tackle high levels of unemployment and water shortage by creating job opportunities for farmers in Africa. In recognition of his ground-breaking contribution to development, Peters was one of four recipients of the Marquee Award for Global Business Excellence at the Africa-US Leadership Awards in 2014. In the same year, he won the “Leadership CEO of the Year” award. In 2015, Peters received the Dr. Martin Luther King Jr. Legacy Award in the “Economic Empowerment” category. He waslisted as one of the ‘50 Most Influential Nigerians in 2017’ by BusinessDay. Furthermore, he won ‘Oil and Gas Man of the Year’ at the prestigious Guardian Awardsin 2018 as well as the prestigious Forbes Magazine Oil & Gas Leader of the year. In January 2019, The Vanguard Media Limited honoured him with the Businessman of the year award at a gala in Lagos.